Sheriff Sam Lock is a man who prides himself on his logical thinking and pragmatism, so different from his father who had been sheriff before him. 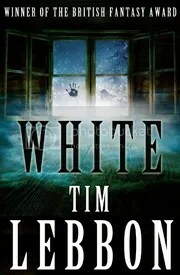 But in the winter of 1860, when he is summoned to the Crownhill estate to investigate the report of a missing child, he has no idea how far from logic he’ll have to go to uncover the truth. Beneath Ash and Bone begins with Sheriff Lock’s introduction to the Crownhills, a wealthy family whose power and prestige has set them apart from their neighbors, and kept their dark secrets safe for years. At the house known as Evermore, he meets Charlotte, the daughter of Horace Crownhill, and aunt of the missing child. As he begins the search for William, the missing boy, he attempts to ignore the burgeoning attraction he feels for Charlotte, and the disquiet he feels at Evermore. The tale moves quickly from the mundane events of searching through a blizzard for William, to the strange and almost unbelievable things he finds in the plantation house itself. 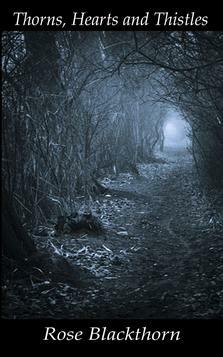 Hidden passageways lead to dark secrets tucked away in the attic, and to horrible truths long concealed in the past. Soon, Sheriff Lock must admit there is more to Evermore than meets the eye, and he’ll go through his own version of hell before solving the mysteries that brought him here. Beneath Ash and Bone by D. Alexander Ward is available at Amazon in Kindle or paperback. 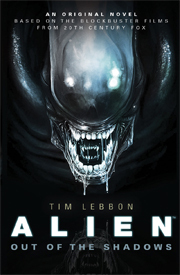 The writing is descriptive, the characters intriguing, and there are places in the story that genuinely gave me chills. At 172 pages, it’s a fairly quick read, but it will pull you in and drag you all the way to the end, never quite knowing if you’ll be able to escape. Rose Blackthorn’s poetry collection, Thorns, Hearts and Thistles, envelopes readers in a gothic retelling of painful memories and sorrowful recollections. I have a personally autographed copy of Seal Team 666 by Weston Ochse. I have read it once and I know that a review of it would be a great thing to do. This will not be an easy thing for me to do. When I read the book, I got lost in the story. What I mean to say is, I felt like I was a part of the story. The things that were happening were going on around me. I was not just an observer. I was part of the fun and, sadly enough, confusion and chaos. There were times when I didn’t know the lingo that was being used, but it was explained to me. Overall, I would recommend this book very highly to anyone. Especially anyone who has any kind of a military background. 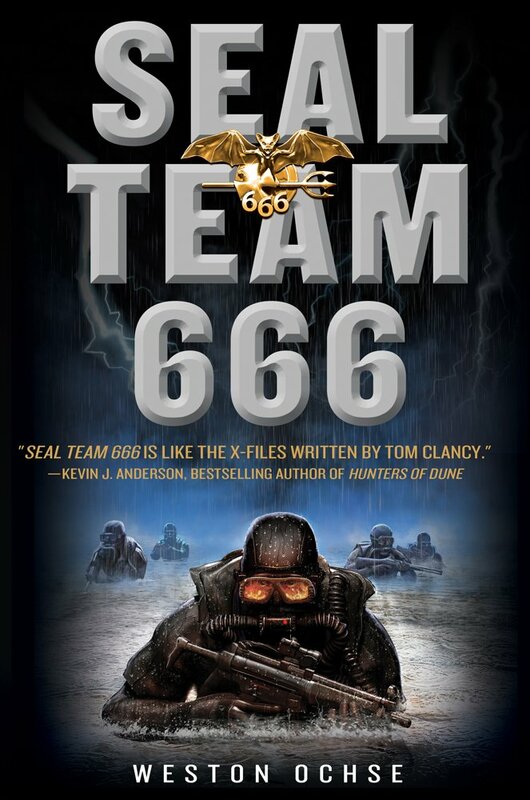 Seal Team 666 is available at Amazon, Barnes & Noble, and Indiebound. THE HORROR BOOKSHELF just posted a wonderful review for the Grey Matter Press anthology Equilibrium Overturned. “EQUILIBRIUM OVERTURNED is the newest anthology from the stellar team at Grey Matter Press and focuses on stories that are a blend of horror, science fiction and dark fantasy… Choosing a favorite from this anthology is almost impossible. The reviewer goes on to single out some favorites, including “The Final Testimony of Molly Ryder” by Jeff Hemenway, “Martial Law” by JG Faherty, “Through the Ghostlands” by Rose Blackthorn, “Wombie” by Martin Slag, “The Alamo Incident” by Sean Eads and “Sunrise” by Tony Knighton. 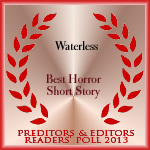 Read the complete review at THE HORROR BOOKSHELF. And leave them a comment, sharing your thoughts. All the contributors to EQUILIBRIUM OVERTURNED deserve the credit for this, the fifth bestselling volume of horror from Grey Matter Press in less than ten months. They include Jeff Hemenway, John Everson, JG Faherty, Rose Blackthorn, Geoffrey W. Cole, S.G. Larner, Martin Slag, Roger Jackson, Sean Eads,Stephen Vessels, Jay Caselberg, Tim Waggoner, Josh Vogt and Tony Knighton.